Africans have the highest educational attainment rates of any immigrant group in the United States with higher levels of completion than the stereotyped Asian American model minority. It is not only the first generation that does well, as estimates indicate that a highly disproportionate percentage of black students at elite universities are African or the children of African immigrants. In an analysis of Census Bureau data by the Journal of Blacks in higher education, African immigrants to the United States were found more likely to be college educated than any other immigrant group. African immigrants to the U.S. are also more highly educated than any other native-born ethnic group including white Americans. 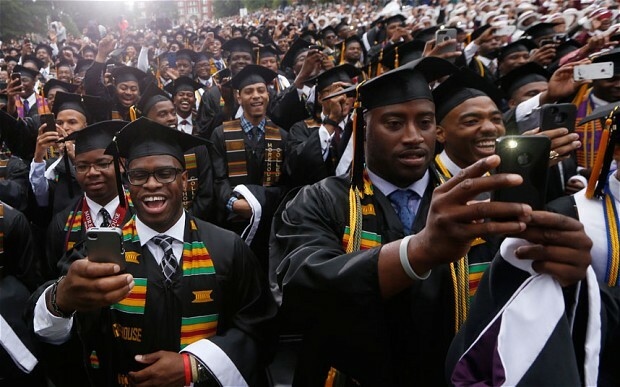 Some 48.9 percent of all African immigrants hold a college diploma. This is slightly more than the percentage of Asian immigrants to the U.S., nearly double the rate of native-born white Americans, and nearly four times the rate of native-born African Americans.